Let's start with a hearty "way to go!" to everyone who rides a bicycle anywhere in Memphis! Memphis is making great strides to become a bicycle-friendly city, because you – and your bicycle – are steadily increasing the number of cyclists on the streets. Please check back in the coming days for more information about B2WD 2019 in Memphis. Again this year a number of organizations will be hosting breakfast stations, but we're also planning some new ways to participate/celebrate. If you’ve been thinking about bicycling, but something always gets in the way, we can help. 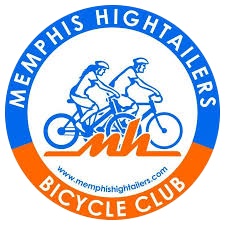 Memphis Hightailers and Revolution Bicycle Coop provide beginner sessions, bike repair classes, and more. Just take the first step and reach out. Don't forget to sign up for Memphis Commute Challenge and earn your points (to brag and win prizes). ​Safe and happy riding, y'all! ​BIKE TO WORK DAY IS MAY 17 - ARE YOU READY?